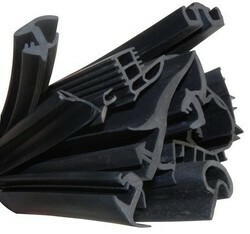 We are engaged in the arena of manufacturing and supplying a wide array of extruded rubber profiles. These are manufactured using high quality raw material and are known for their high end features like dimensional stability design flexibility and high tensile strength. Further, these are available in diverse specifications as per the needs of the clients and are offered at industrial leading prices. 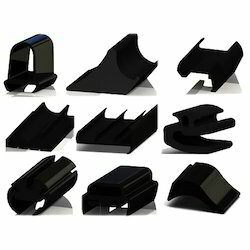 We are one of the renowned names of the industry engaged in offering Rubber Pillar Guards to the customers. A team of experts designs as well as manufactures these products, as per the clients' specific requirements. These are provided with reflective stickers to ensure better visibility and are specially designed basement & any other area having pillars. Available in standards size of 1 foot they have multiple pieces that can be joined for more heights. To enhance their visual impact these pillars are mostly painted in yellow and black color. Moreover, these products provide protection to the pillars from scratching, brushing and other damages that can be caused by vehicles. 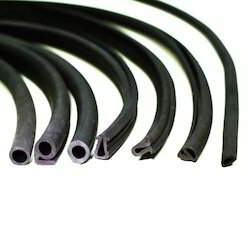 Nitrile Rubber Profiles offered by us are extensively used in automobile, electrical and construction industry. Sunlight and weather elements (rain, wind, humidity etc.) can drasticallly reduce the life span of most general purpose elastomers like Neoprene. The natural ability of these Rubber to withstand ambient harsh weather, water and temperature extremes makes it an outstanding choice for use in Architectural Profiles, Weather Seals, Windshield Rubber, Weather Strips, Door Rubber and other exterior applications. these rubber is used for applications in which resistance to UV & ozone, weather-ability, temperature resistance, and sealing properties are key requirements. 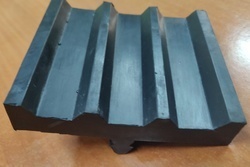 It is also used for impact modification of plastics. These are available in customized form as well as per the needs of the clients. To give a finished rubber product elasticity as well as strength, carbon black is added to the compound. It is used as a Viscosity Index Improver(VII) for motor oil additives. Rubber Beadings offered by us are manufactured using high quality raw material such as viton, silicone and nitrile. These are used in various industries for the purpose of sealing of large vessels and machines. 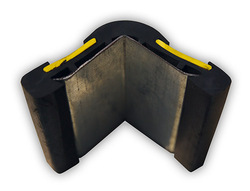 In addition to it, Rubber Profiles manufactured by us offer a very good compression for durability. These are available in various sizes and dimensions and are made by using supreme quality rubber in tandem with the laid industry norms and policies. We offer these beadings for fixing the glass in automobile industries. Our clients can avail from us a wide array of Extruded Rubber Sections. We cater to the requirements of Original Equipment Manufacture and replacement market in the automobile industry. Our manufactured products are highly demanded in domestic as well as international markets. 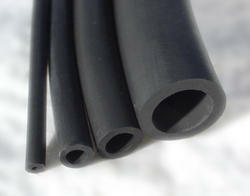 We are engaged in offering Extruded Rubber Products which are used in various industries. These include extruded rubber strips, cords, oil seal made from various materials like white silicon, food grade viton and EPDM. The offered beadings are manufactured using the best grade raw rubber and latest technology in compliance with the set industry standards. These beadings are extensively appreciated by our patrons for their excellent performance, less maintenance, perfect finish and longer service life. In addition to this, these beadings are available in different specifications as per the varied requirements of customers. We manufacture Extruded Automobile Beading's. Specially in EPDM for ozone resistance. Sri Sai Rubber Products Private Limited is established in the year 1997, as a leading manufacturer, exporterand supplier of a wide range of of Rubber Products such as Extruded Rubber Profiles, EPDM Architectural Gaskets, Rubber Rollers & Many more. Our organization is an ISO 9001:2000 certified company. Being one of the leading companies, we are engaged in offering a wide range of Neoprene Tubes to meet the demands of our clients. These products are well equipped and offer high level of performance. Made up of high quality material this Neoprene Hose is highly durable and needs low maintenance and care. Our technical team makes sure that these products are perfect for different uses in different areas. We are offering Nitrile Rubber Beading to our clients. We are providing high-quality products to our clients. 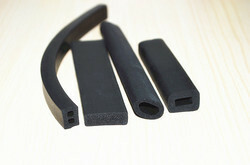 Looking for Extruded Rubber Profiles ?